With the removal of the “iron curtain”, back in 1989, Russia and several Eastern European countries took the pageant world by storm. Russia, as expected, has been the most successful nation among them, having conquered the Miss World title twice (1992 and 2008) and Miss Universe once, in 2002 (Oxana Fedorova did not complete her reign). Today, it has one of the most awaited for beauty competitions in Europe, right next to Miss France, and also one of the most lavishing television productions. Las Saturday, April 13th, Miss Russia 2019 took place at the concert hall of Barvikha Luxury Village, in Moscow, with 50 stunners fighting for the crown. In the end, it was the very spectacular Alina Sanko, 20, from Azov, who had the last smile of the night. She is Miss Russia 2019. 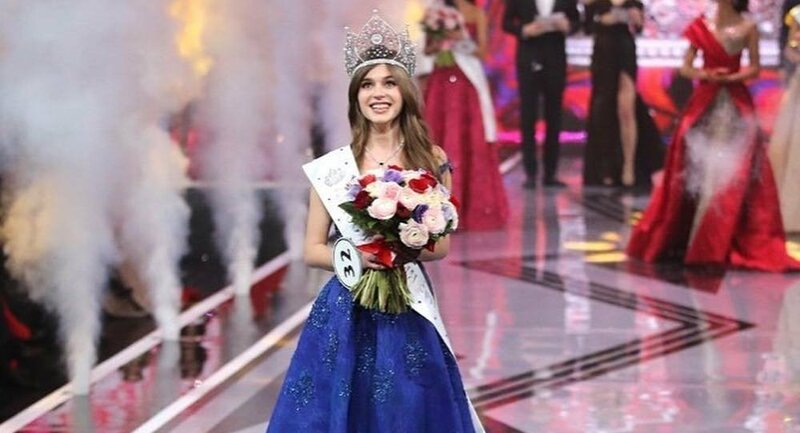 Alina is expected to compete in Miss World and in Miss Universe 2019, in case their dates don´t clash. If both competitions happen at the same time, which might happen, then the Russian organizers will decide to which pageant the winner will go, while one of the runner-ups will be designated to compete in the other. Speaking of whom, runner-ups were Arina Verina, from Yekaterinburg (1st runner-up), and Ralina Arabova, from Tatarstan (2nd runner-up). Ksenia Sukhinova, Miss World 2008, hosted the event next to Maxim Privalov. The spectacle was broadcast live by STS. GB comment: We absolutely love the winner and believe she could “make waves” wherever she competes! Will she be sent to Miss World or to Miss Universe?